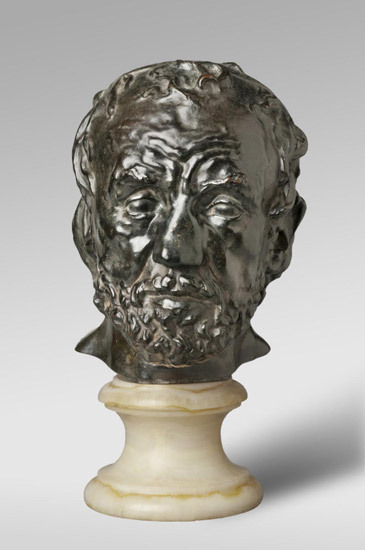 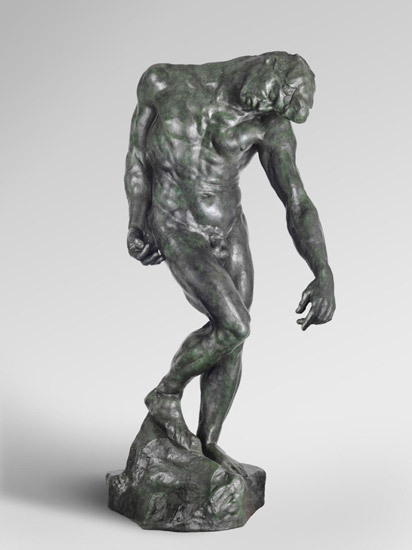 On August 16, 1880, Rodin received a commission to create a pair of bronze doors for a new decorative arts museum in Paris. 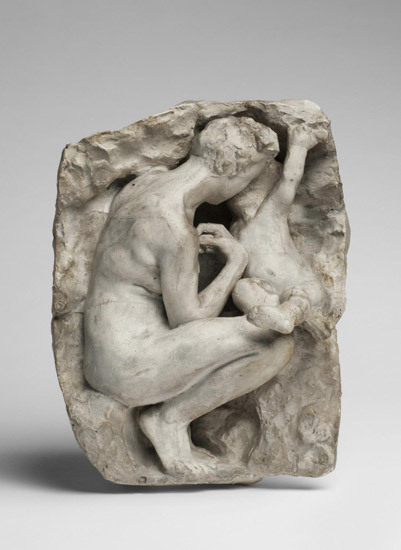 Although the museum did not come to fruition and the doors were never fully realized, The Gates of Hell became the defining project of Rodin's career and a key to understanding his artistic aims. 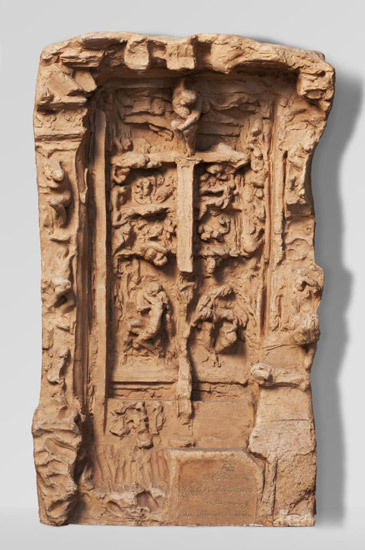 During the thirty-seven-year period that the sculptor worked on the project he continually added, removed, or altered the more than two hundred human figures that appear on the doors. 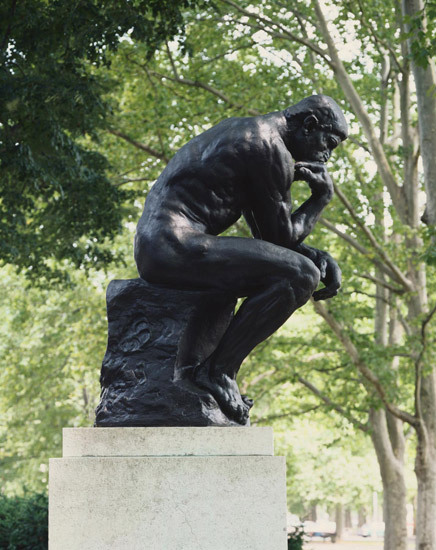 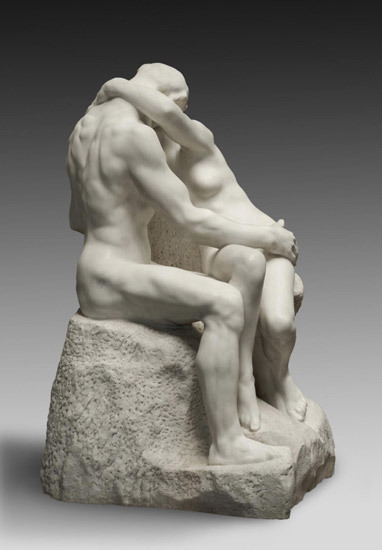 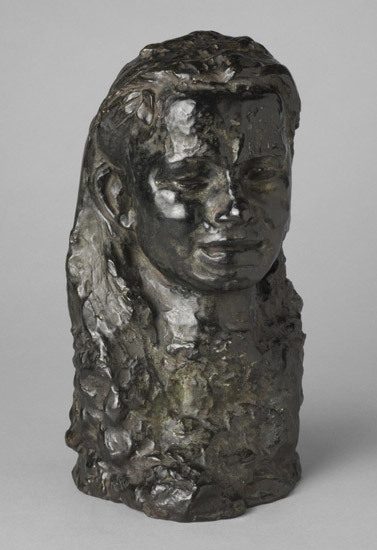 Some of his most famous works, like The Thinker, The Three Shades, or The Kiss, were originally conceived as part of The Gates and were only later removed, enlarged, and cast as independent pieces. 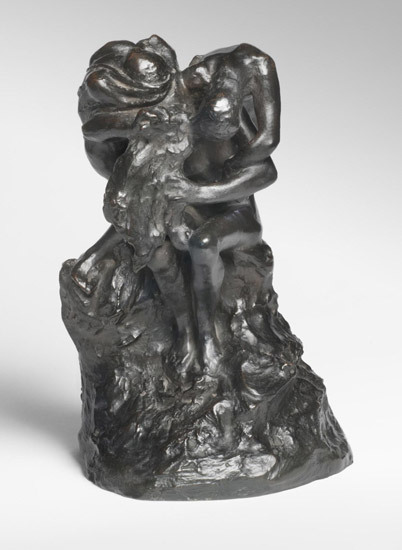 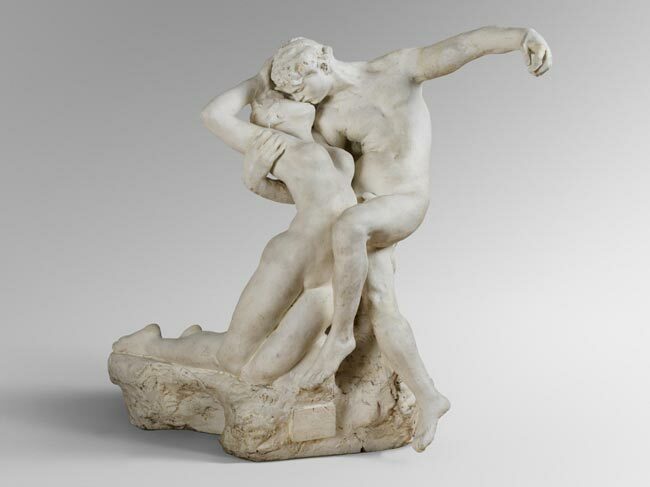 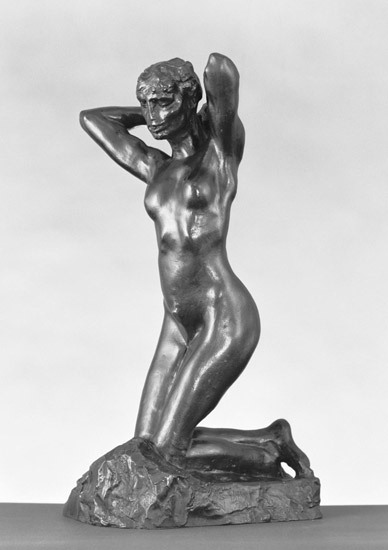 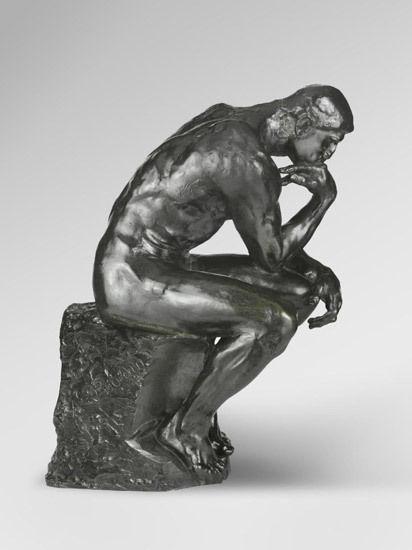 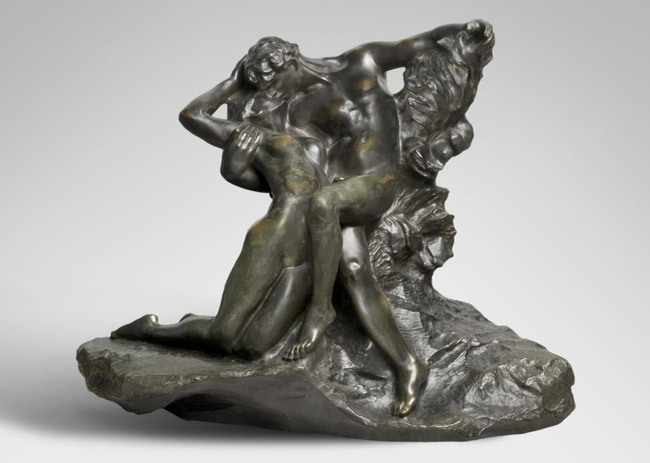 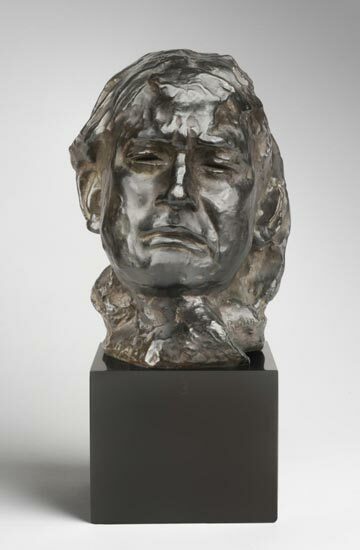 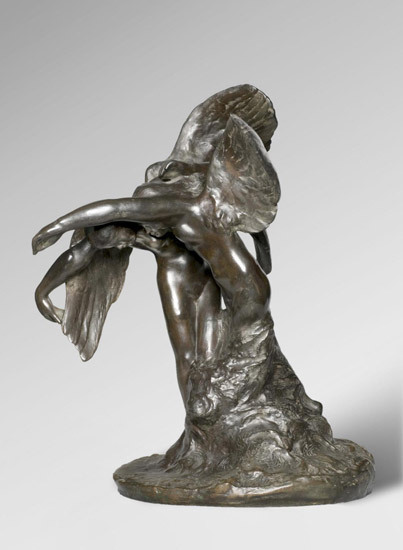 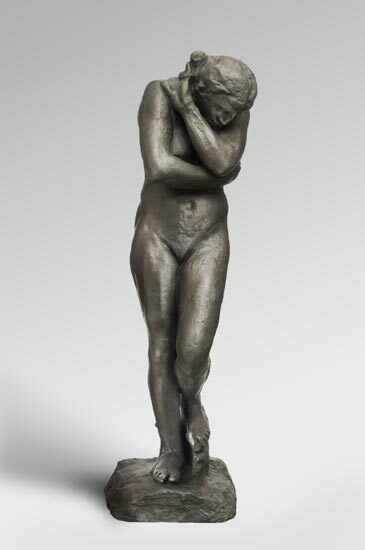 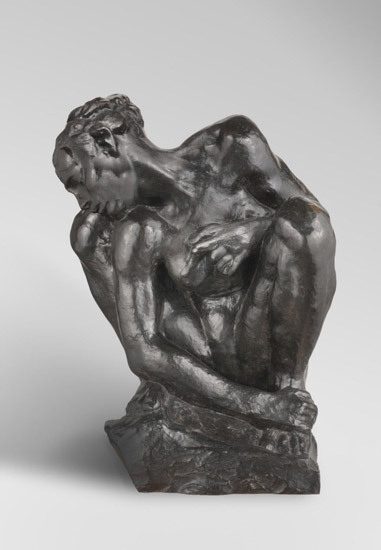 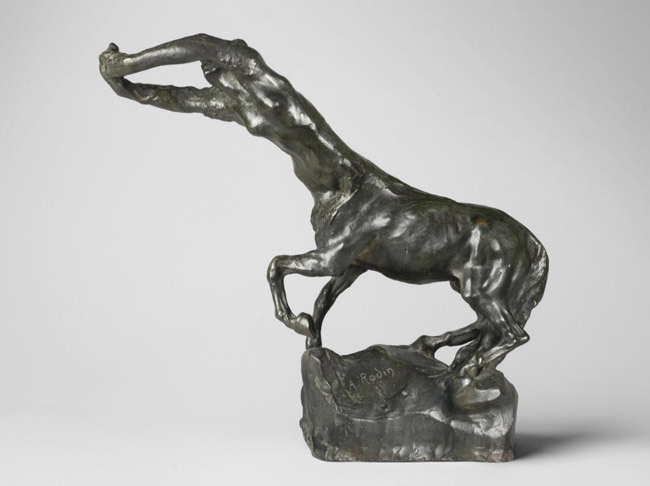 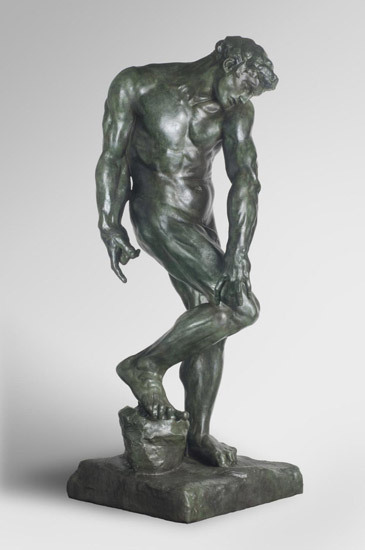 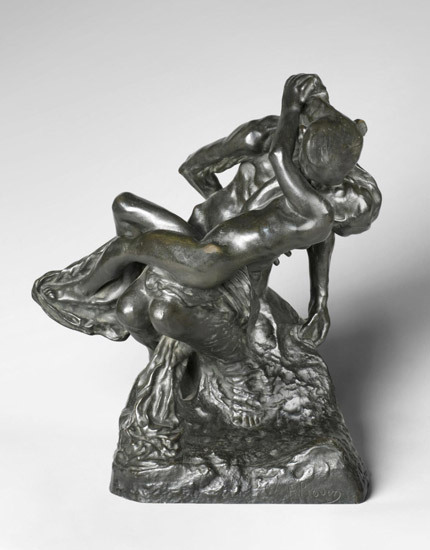 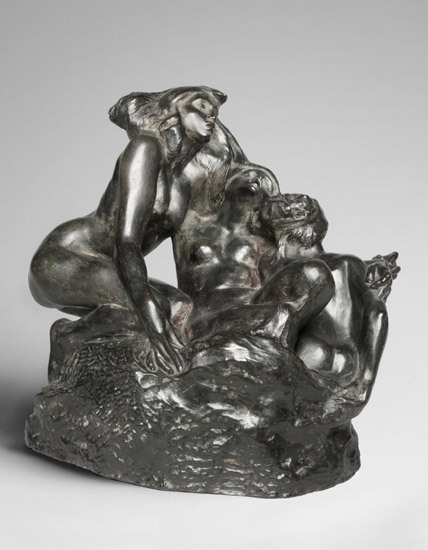 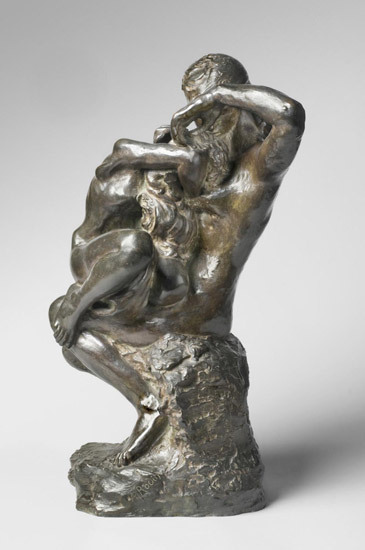 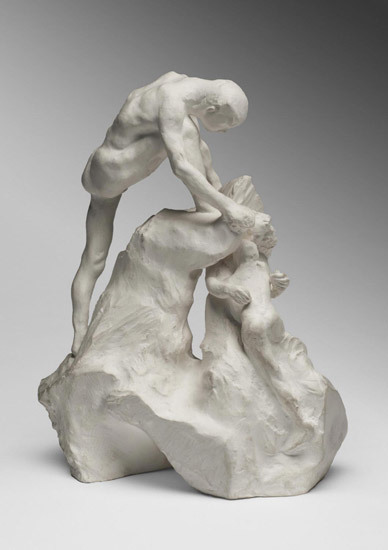 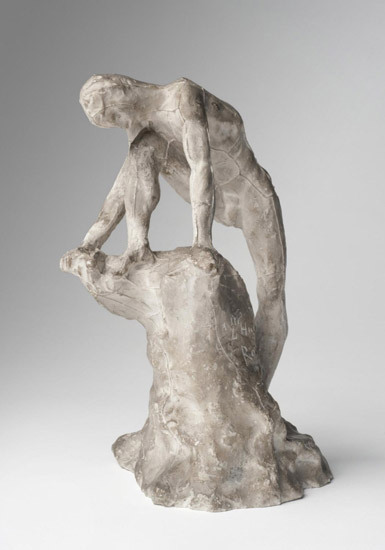 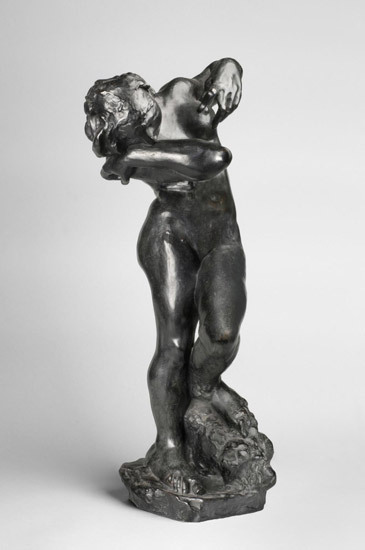 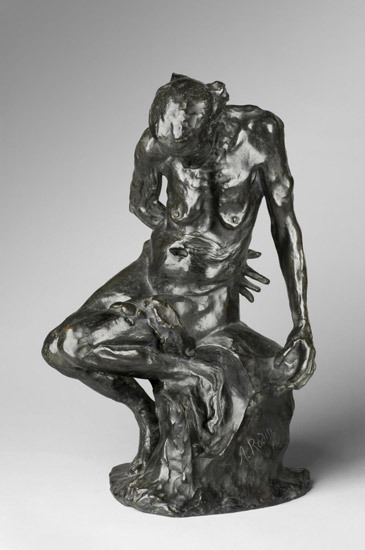 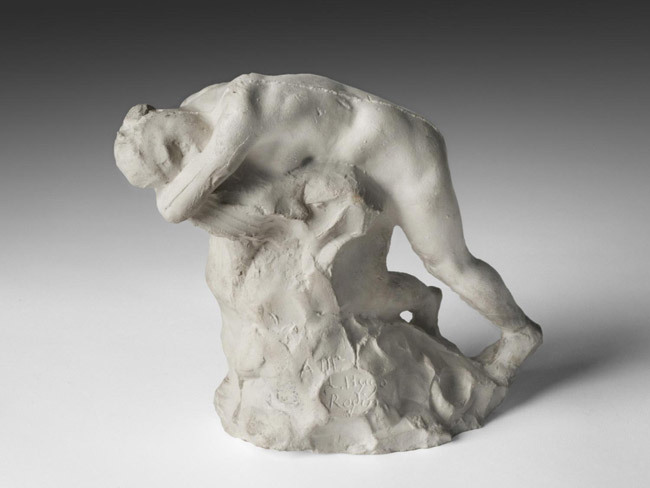 Rodin's initial inspiration came from Inferno (Italian for "hell"), the first part of Italian poet Dante Alighieri's (1265–1324) epic poem The Divine Comedy. 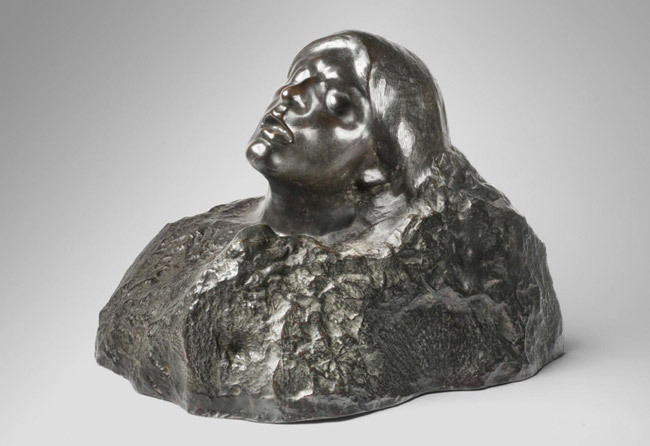 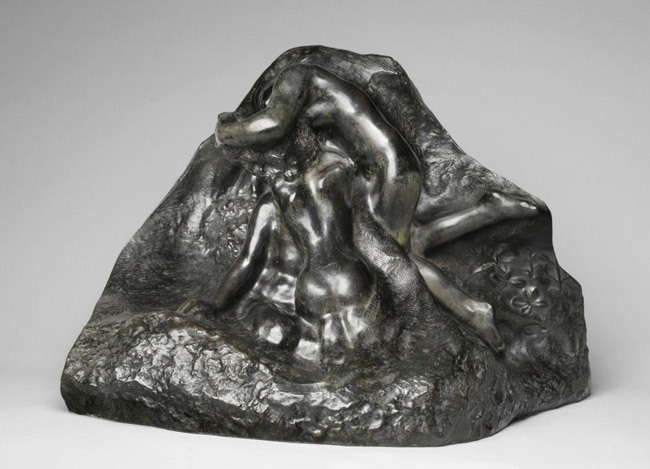 Rodin imagined the scenes described by Dante as a world with limitless space and a lack of gravitational pull. 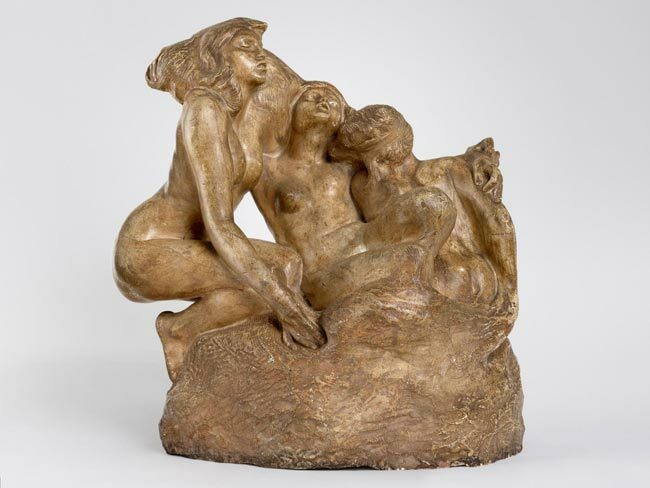 This allowed for ceaseless and radical experimentation by the artist, with figures that obey no rules in their poses, emotive gestures, or sexuality. 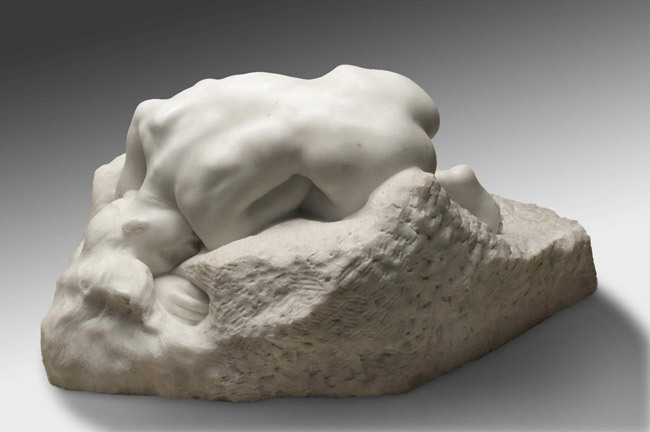 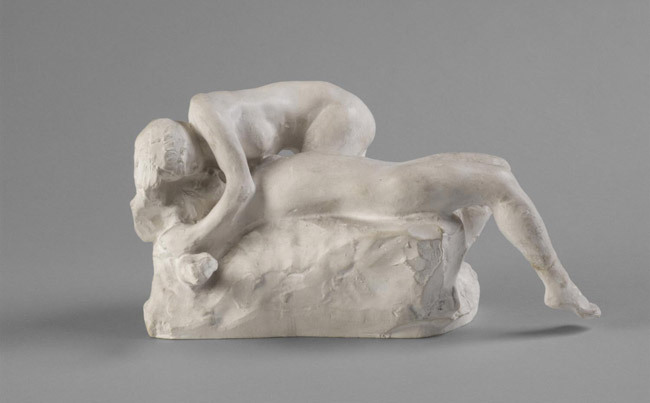 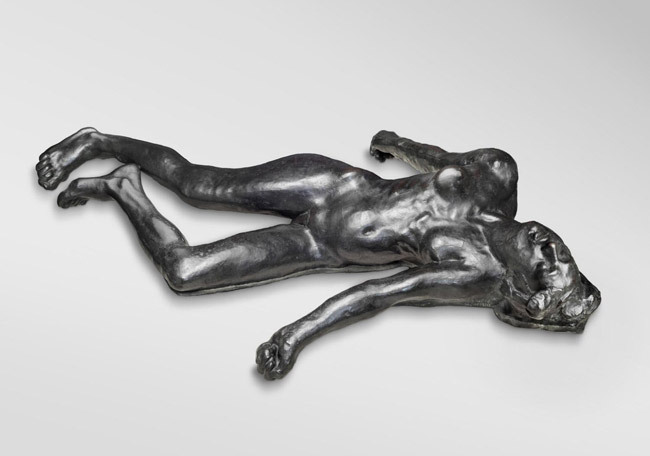 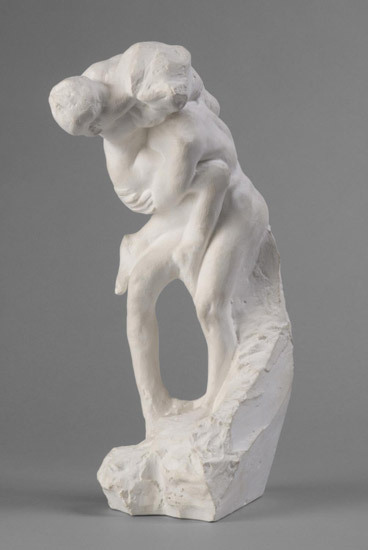 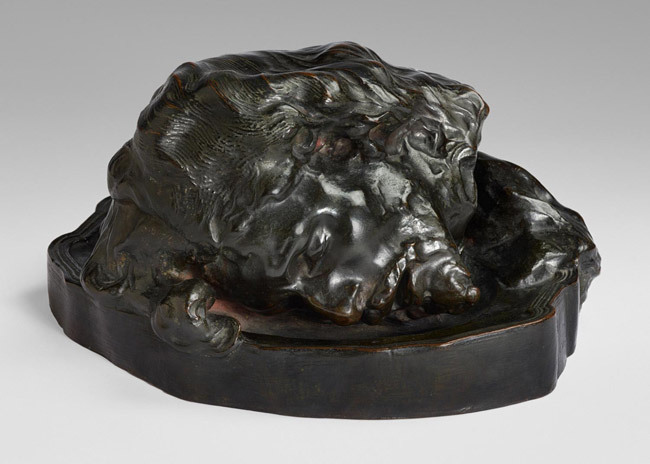 For Rodin, the chaotic population on The Gates of Hell enjoyed only one final freedom—the ability to express their agony with complete abandon. 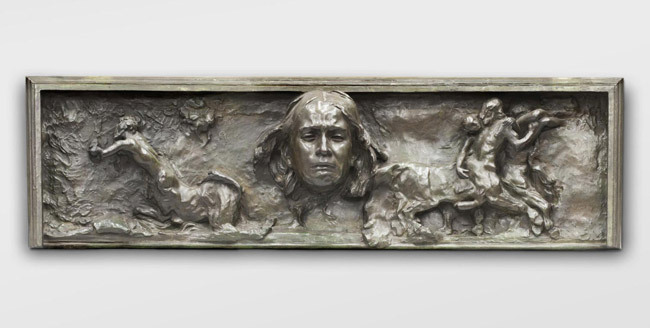 In the end, the artist discarded the specific narratives of Dante's poem, and today The Gates is no longer a methodical representation of Inferno. 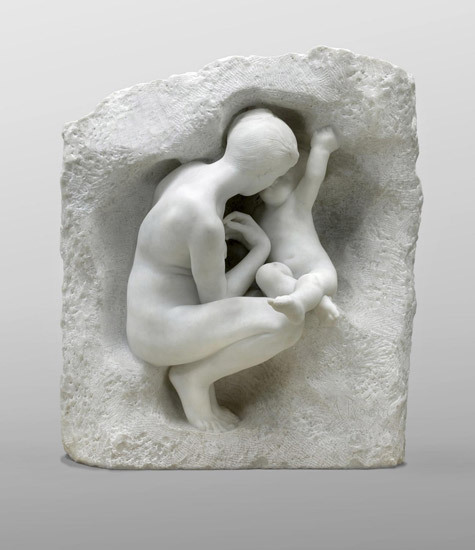 Instead, the figures on the doors poignantly and heart-renderingly evoke universal human emotions and experiences, such as forbidden love, punishment, and suffering, but they also suggest unapologetic sexuality, maternal love, and contemplation. 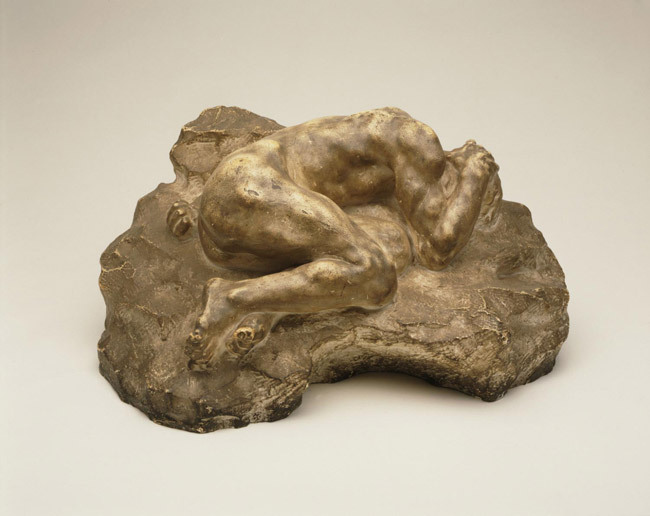 In Rodin's lifetime The Gates of Hell was never cast in bronze and was known only in a full-size plaster model kept at the artist's studio in Meudon outside of Paris. 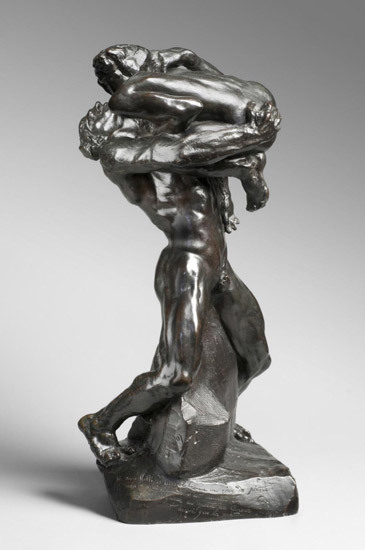 The Rodin Museum in Philadelphia owns the first bronze cast of The Gates, commissioned in 1925 by the Museum's founder, Jules Mastbaum. 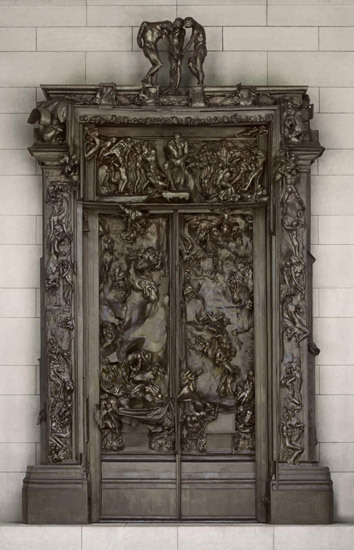 At the time, Mastbaum ordered two sets of the doors—one for Philadelphia and one for the Musée Rodin in Paris. 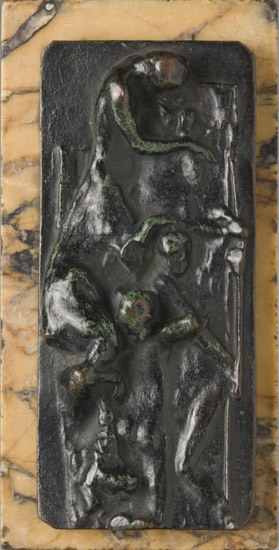 Bas-relief for "The Gates of Hell"